Active Directory (AD) is a Microsoft brand for identity-related capabilities. In the on-premises world, Windows Server AD provides a set of identity capabilities and services, and is hugely popular (88% of Fortune 1000 and 95% of enterprises use AD). 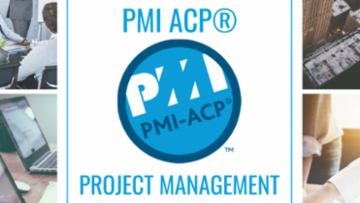 This topic includes all things Active Directory including DNS, Group Policy, DFS, troubleshooting, ADFS, and all other topics under the Microsoft AD and identity umbrella. Sysadmin Day was over a week ago, but that doesn't mean we stop appreciating them! In case you missed it, check out our blog post about the various roles sysadmins have in the office. Sysadmin Day 2018: A Look Inside This Crucial Role | Community, Experts Exchange BlogSysadmins work tirelessly each day to solve trivial and critical problems. Let's take a look at what a sysadmin really is, what roles they play, and why they’re an essential part of a company. Andy's VMware vSphere tip#3 - Experiments in TIME. Just call me a TIME LORD! A very large outsourcer, then suddenly found issues with Active Directory Replication across the business and also Microsoft Exchange email servers services started to fail. Because of TIME, TIME had skewed between Active Directory servers and Microsoft Exchange servers by 1.5 hours! and all stopped replicating, and services failed! Active Directory and Microsoft Exchange failed. 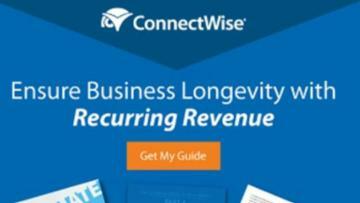 Logons and email stopped working for many thousands of employees! The reason, a few of the new ESXi hosts, were syncing time from a rouge time server, which was giving the WRONG time, the time in fact was 1.5 hours ahead. You may be thinking, ah, they are using VMware Tools to sync to host! - No! This function has been removed from VMware Tools for many years! 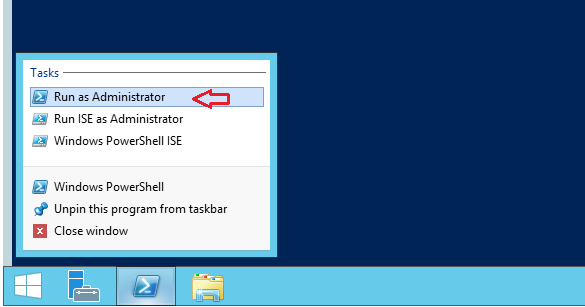 BUT here is a golden nugget, did you know that a vMotion of a VM will sync time with the host unless disabled! Time is resynchronized when you migrate the virtual machine using vMotion, take a snapshot, restore to a snapshot, shrink the virtual disk, or restart the VMware Tools service in the virtual machine (including rebooting the virtual machine). Exchange Administrator of a O365 tenant that is using either DirSync or AADSync are no longer supported and may not work correctly. These tools are no longer supported as of April 2017, and after December 31, 2017 O365 team are not able to guarantee your connections from Windows Azure Active Directory Synchronization (DirSync) or Azure AD Sync work properly. This may affect your ability to synchronize your local directory infrastructure with Office 365, and will result in users being unable to log in to their Office 365 services. Azure Active Directory (AAD) Connect is the best way to connect your on-premises directory with Azure AD and Office 365. Upgrade your sync functionality to the latest version of Azure AD Connect, which is the currently supported tool for syncing data to O365 cloud features. The Tech or Treat contest winner has been chosen! Congratulations to expert Thomas Zucker-Scharff, our champion, who submitted an article on a suspected hack into his work device that, to this day, has never been solved. Can you use azure active directory to connect to a local work-group of PC's that does not have a local DC ? The aim is to have azure act as the DC for the local machines. We dont want to use virtual desktops. I've gone overboard on the amount of information on there but It might help those attempting to pass this exam. Obviously this is to be used in conjunction with other courses. I can recommend the course on Platform Scholar. The information on the Flashcards are valid as far as I am aware. Obviously I take no liability for incorrect information. 70-346 Flashcards - Cram.comStudy Flashcards On 70-346 at Cram.com. Quickly memorize the terms, phrases and much more. Cram.com makes it easy to get the grade you want! Thanks Joe :) . I've got my 70-347 shortly as well. If I pass, I'll make those publicly available as well. Also, if you want an online video I highly recommend the Platform Scholar courses. 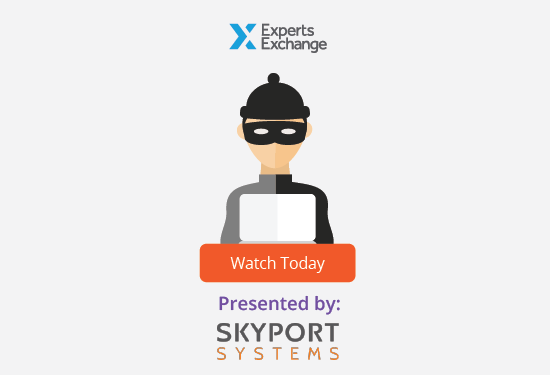 Did you miss our co-branded webinar with Skyport Systems yesterday? Check out the recorded webinar available on-site to learn how to secure your Active Directory against security threats. Whenever it comes to managing Active Directory, every administrator are encountered with this situation someday to read the SIDs which are not in human readable format. Troubleshooting AD Replication error 8453: "Replication access was denied." You might want to repost this as a question instead of a post, since more Experts will see it and they also will get points for answering. How to mass update Active Directory from a text file. We (CodeTwo) have released a new free tool for bulk Office 365 user photo management - CodeTwo User Photos for Office 365. This application is a twin program of our other well-known freeware for user photo management CodeTwo Active Directory Photos, but it operates in Office 365. 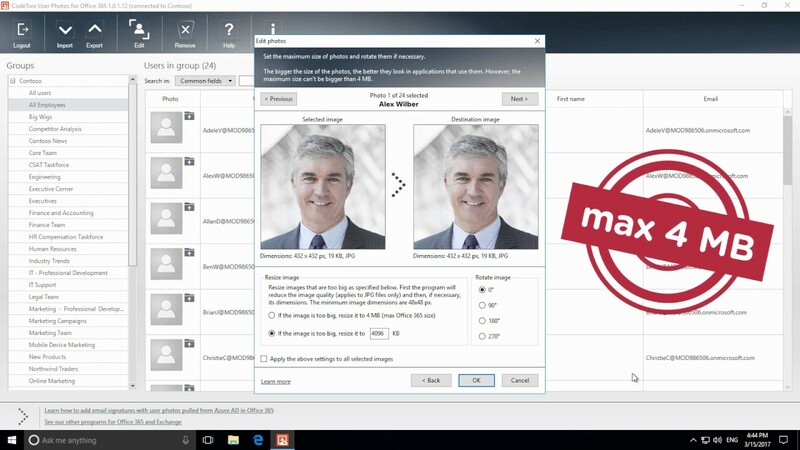 CodeTwo User Photos for Office 365 will handle everything from photo preparation, through auto matching, to straightforward bulk upload of users’ photos to Exchange Online mailboxes. No need to use PowerShell and the Set-UserPhoto cmdlet – the entire process is easily handled via an intuitive GUI. You can also find more details on program’s official website or this blog post.